I love this post too. Things that didn’t disappoint… the dunes in Namibia, Salar de Uyuni in Bolivia, MP in Peru, the Taj, Angkor Wat and of course, since you have mentionned it, Prince Edward Island where I lived for 14 years. 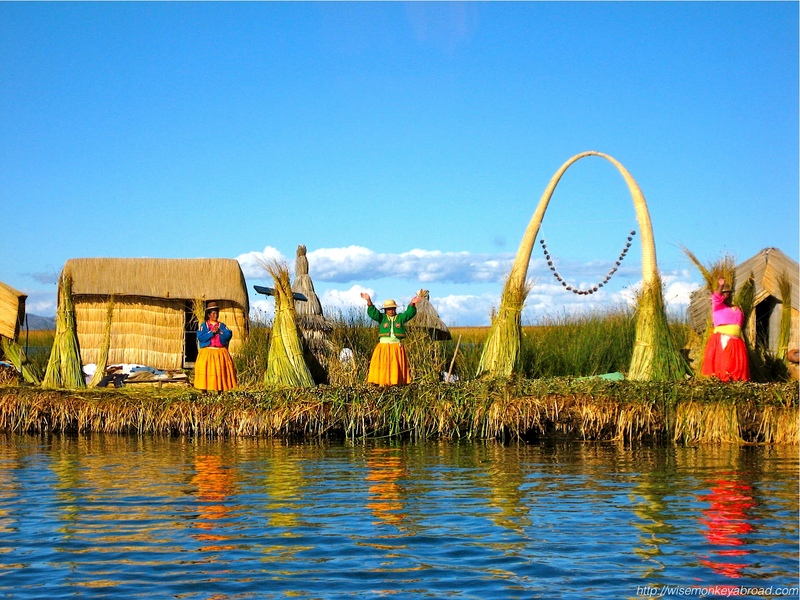 Oh Lake Titicaca looks gorgeous! I so wish we had had time to go there during out time in South America last year. I guess it just gives us an excuse to go back 😉 The Galapagos Islands sounds amazing – this is definitely on the bucket list. For me, the Taj Mahal has to be one of the places that met my expectations. Actually it completely exceeded them. I never thought a building could be so amazing but it was truly majestic seeing it in person. So much more awesome than in photos! There are ALWAYS excuses to go to any place 😉 We have no doubt that you will have to go back to South America. Isn’t it just incredible when you look at something in a photo and then when you see it in person, it is more breath-taking?! When we travel, we find that sometimes we do pinch ourselves and ask each other, “Are we REALLY here?” Such an awesome feeling as you would know! 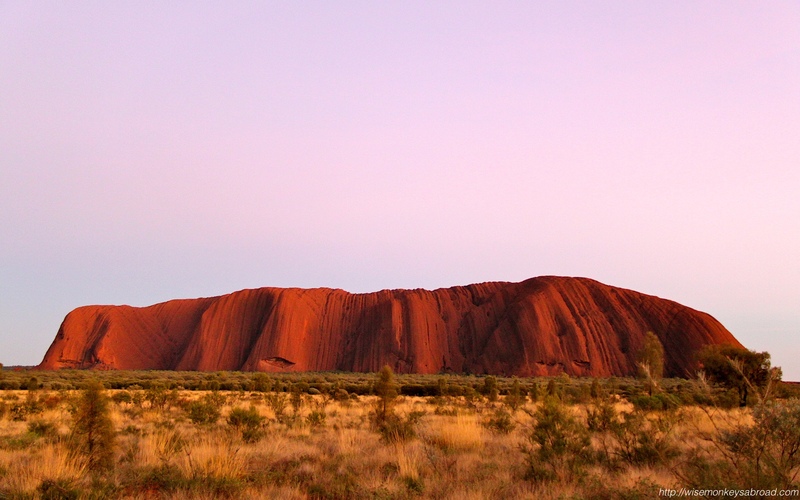 I’ve travelled the east coast of Australia, but didn’t make it to Uluru – would love to go back and see this wonder for myself. Amazing choices. Machu Picchu exceeded my expectations, as did the pyramids in Cairo – it’s crazy to imagine such amazing architecture being built so long ago. There is much to see in Australia so delighted to hear that it is on the cards for you to come back to! I will just give you one that struck me as awesome, more so than expected. That was the Redwood National Forest. No picture could ever convey the feeling of standing or driving among those giants. Can’t go wrong with South Island. Oh, I love that hanging monastery! Where is this located? 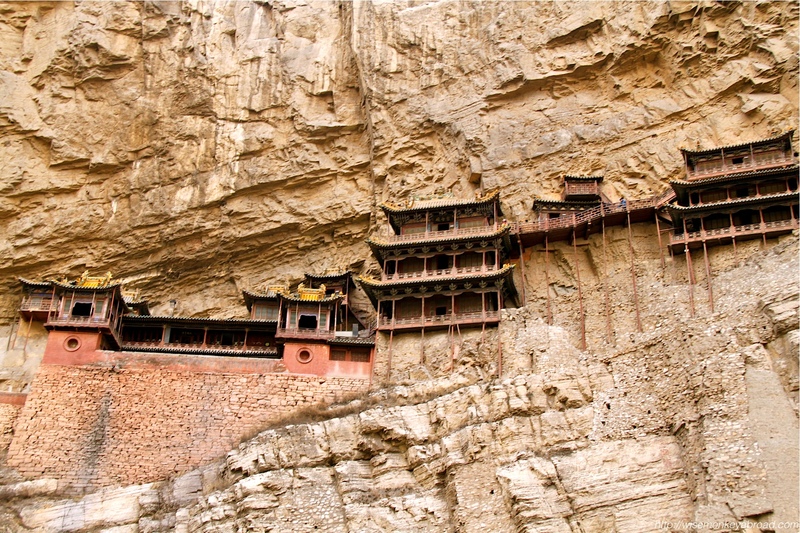 That is located outside of Datong (west of Beijing). It remains the BEST thing we have ever seen, so far. 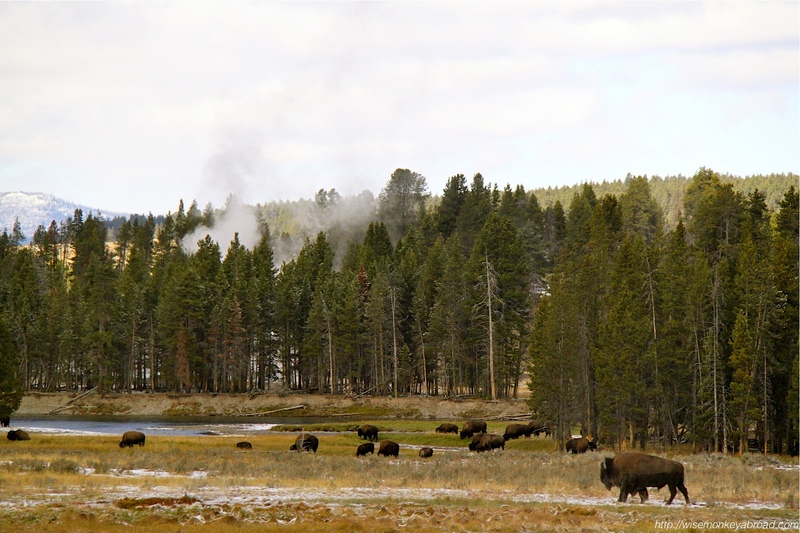 Yellowstone is close to my heart as I am from Wyoming…and I am hoping to go to the Galapagos in 2016! I’d include Yellowstone in my list, and also Bhutan, definitely Namibia (as someone else already mentioned! ), Ngorongoro Crater, and….I don’t know! Maybe Prince Edward Island? I can’t believe you narrowed it down, this is hard! All the places you listed are where we WOULD love to visit too. Maybe they will trump our top 5 when we experience them ourselves. The hanging monastery left me in awe! Unbelievable! It is just mind-boggling how they build it and even more unreal to look at it and walk through it 🙂 Hands-down favourite to this day! We’ve never been to Langkawi but would LOVE to one day! I love the blue feet ducks, so cute! Great photos! Thanks! Those blue-footed boobies were great to watch, especially when they were flying and feeding. Their blue feet become brighter during mating season (or so we were told). And we were able to walk right past them and they didn’t bat an eyelid at us. I’ve always had high expectations of Uluru. But have always put off going there 😀 It really isn’t that far and not too hard to get there, i really just am lazy! 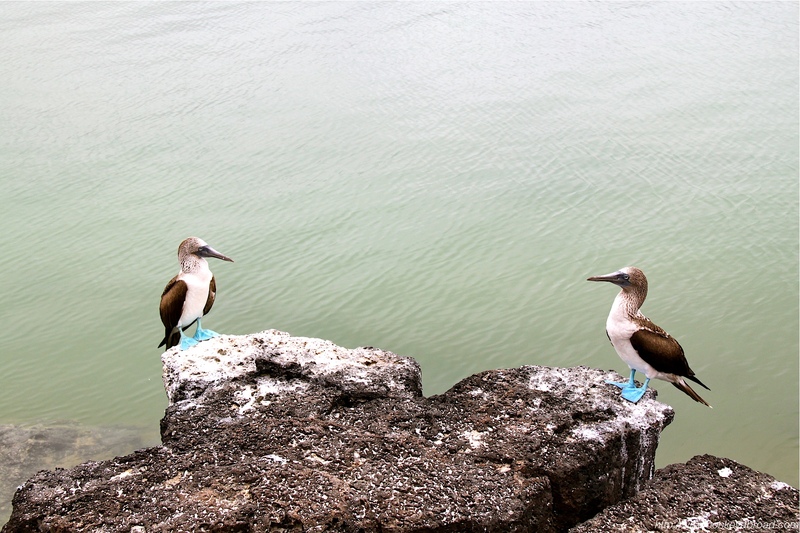 Those birds are called “Blue-footed boobies” … very unique and the feet become more blue during mating season. I haven’t been to any of these so I enjoyed reading your list. It would be fun to see what other travellers rate as their top 5. Are you going to share with us your top 5?? It was very hard to choose …. but we just thought it someone said, name your top 5… these would generally come into it. We do look forward to seeing what other people say too! Well then, we will be interested to see what your favourites would be 🙂 Great minds think alike! My list: Machu Picchu, Easter Island, the Amazon jungle in Peru, Greece, and Namibia! On your list, I’ve only been to Yellowstone.